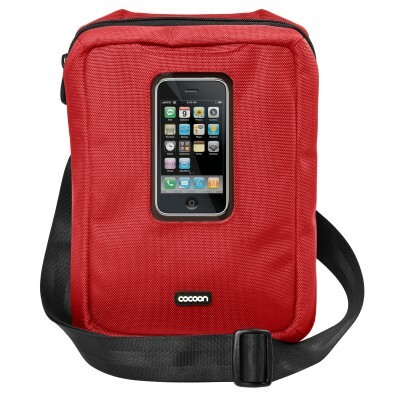 I am always on the lookout for the perfect carrying case for my iPad and Cocoon Innovations may have come close. Unfortunately, they have two great cases, each with subtle differences, so the hard part is deciding which one to get! The most unique case they offer, and perhaps the most unique case I've seen so far, is the Gramercy Messenger Sling. 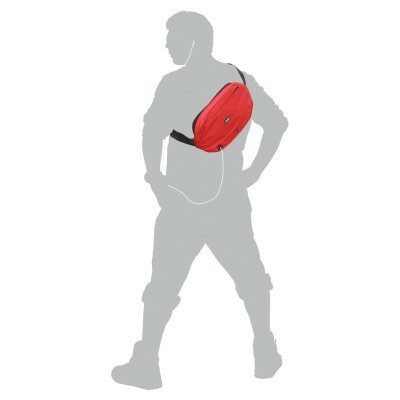 There's a lot to like about this bag, especially the price ($30) but it's not for everyone. If you have both an iPad and either an iPhone or iPod touch, the idea is to place the smaller device in a transparent pocket. You can use the smaller device through a plastic screen, and play music, etc. It's a neat idea but some people may not want to advertise all of their gadgets. On the other hand, as an app developer and writer for iPhone Life, I like when people approach me and ask about the iPhone! If you want something more subtle, and well-suited for bicycling, they have the Harlem Sling ($55), which has a pocket but it's not transparent. 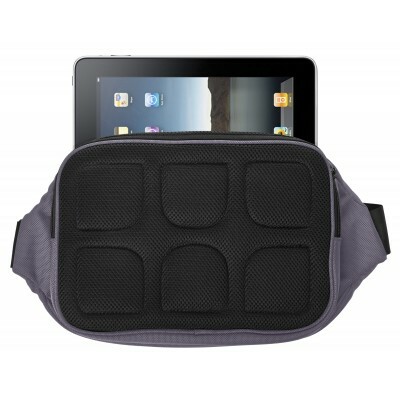 The Harlem Sling is a little larger to accommodate netbooks, and is designed to wear across your back, thanks to a well-positioned cross-body strap and a padded mesh back. All of the Cocoon bags mentioned have two things in common. 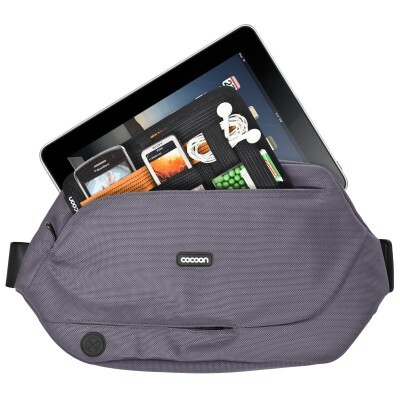 High quality, well-made water-resistant construction with serious seatbelt-style adjustable straps, plus Cocoon's unique GRID-IT(TM) system. 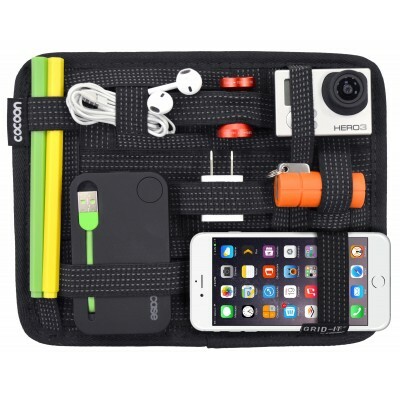 The GRID-IT holds a wide variety of power adapters, cables, and other gadgets using assorted elastic straps. GRID-IT is sold separately for $15 or more, so the $30 price of the Gramercy Messenger Sling, including a GRID-IT system, is a steal. You can choose from either a subtle color scheme (black with green accents), gray with orange accents, or the more extreme racing-red with black "look at me" design. 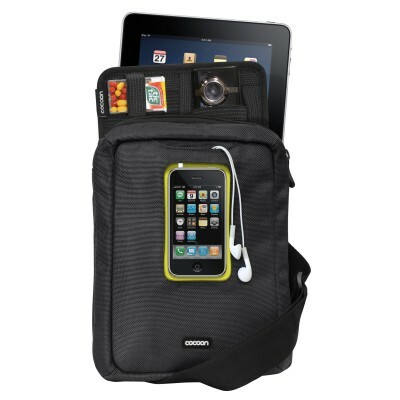 I'm not likely to bring my iPad on bicycle trips, so I'm going to be buying the Gramercy Messenger Sling when I return the demo cases. The price is right (a bargain, really) and it's just the right size for holding an iPad, and an iPhone, plus earbuds and necessary cables not to mention a hardcopy of iPhone Life Magazine!